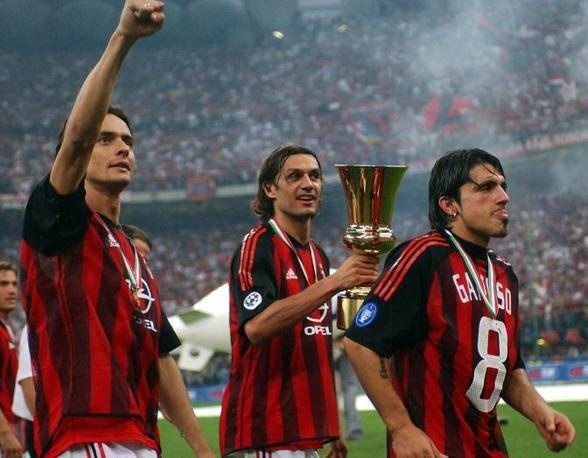 This thread is all about Milans chance to win the Champions League and what they need to do to improve their chances. Also once the CL starts we can analyze each one of Milans matches. please spend money so we win the champions league. Sincerely, everyone on this fourm. Odds are 50-50, either we win or we dont. I dont understand why they taking us down.. just because Barca x Real are playing..
And our chances are bigger if Udinese beats Arsenal(is hard).. coz we would be head of the group instead of Arsenal. are draws possible in the final ? I have faith in Allegri. our chances just went negative. As long as we dont have our arab owner we wont have a chance. Yeah, I've seen it these last 3 years. Last edited by Ashish; 15-08-2011 at 11:41.
i think its mostly the younger guys...reading lots of articles online. There should be no more excuses after failing short in the last 3 CL that we participated and to rub it, losing to 3 EPL clubs. Last year's excuse was not having MvBommel, Cassano and Emmanuelson for the competition although I doubt even if they participated we would go far although we would surely beat Spurs then. One of the major catalyst in our last season drive near the end was Seedorf's sudden performance improvement after the horrible display vs Spurs. Remains to be seen if he can do it again this season but if the Super Copa game (at least the replay that I watched) was an indication, he could proof decisive. We also need Ibra to deliver big time and shed off his reputation as CL choker. I don't think we have enough to challenge the likes of Barca, Real or even ManUnited (Chelsea is still unknown while Arsenal will be a lot less stronger with Fabregas out) for the tittle. Anything less than the SF is a failure, although to be honest after 3 CL second round exits, I'd be happy enough if we can qualify to the QF. Aside from us, who I want to win? Barca wins meaning finally having a club repeating our feat of winning in back-to-back, that I don't want to see (been sweating and relieved each time the defending champion is knocked out every season since 90/91 edition), not to mention they will equal Milan feat of winning it 5 times in the last 25 years (and got the CL Badge of Honor too). Real Madrid means seeing Mourinho gloating the feat of becoming the only coach to win it with 3 different clubs. So I guess, I'd settle for Man United. Edit : where will the final be played? Last edited by gaizka22; 15-08-2011 at 14:30.